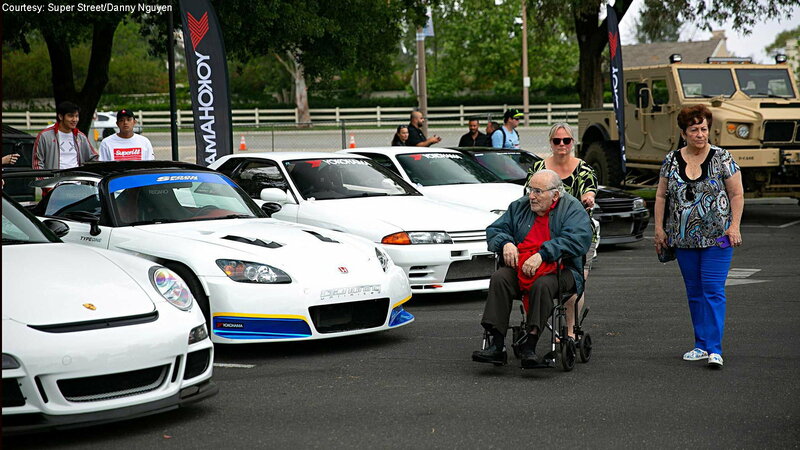 The first Car Hangout In Memory of Paul, benefiting his charity Reach Out Worldwide, pulled in "Fast & Furious" fans and car nuts alike—and more than a few fast Hondas. 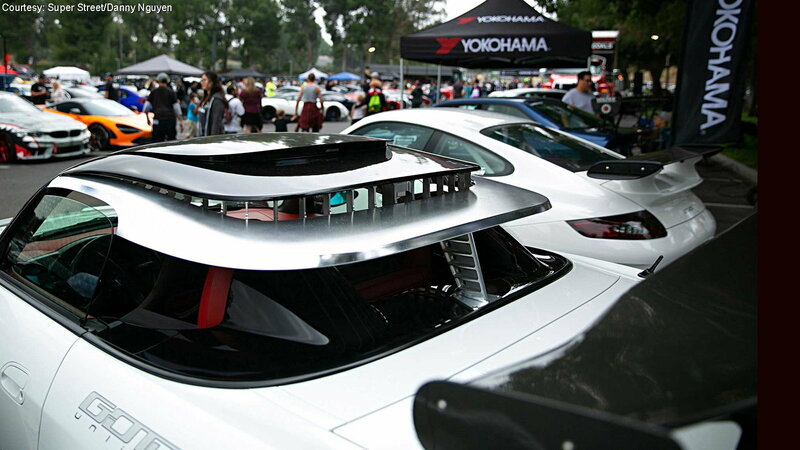 With car people dividing into smaller and smaller factions, a unifying event like the first car hangout "In Memory of Paul" is a rare chance for tribes to mingle, and help a worthy cause at the same time. Unless you've been asleep for the better part of 20 years, you're no doubt familiar with the Fast and the Furious films, and its star Paul Walker, who played Brian O'Conner in the series. Less well know is the fact that Walker started a charity before his untimely passing in a motor vehicle accident. His nonprofit foundation, Reach Out Worldwide (ROWW), supports disaster relief with a focus on aid to first responders. Walker's family, including his older brother Caleb and his near look-alike younger brother Cody, along with some friends helped organize and were on hand to host, this first in what hopefully will become a long line of charitable gatherings. The event, which was held on the campus of the College of the Canyons in Valencia, California, is the first in the U.S. to use Walker's name and to receive the full blessing of his family. And like California's annual Winter Drive (an effort that collects toys for the needy), ROWW is a fantastic reason to show off your pride and joy, or just show up to see the sights—and support a good cause while doing so. Just about one of everything showed up, from today's hypercars to those from 20 years ago. From JDM legends to jacked-up pickups, from humble garage restorations to celebrity rides. No matter what corner of the car hobby you came from, the Hangout had you covered. Here's just a short list of the non-Honda attendees: a La Ferrari; Bugatti Chiron (two of those), a Veyron, and EB110; a Koenigsegg CCX and Agera RS; more Skylines than you could shake a stick at; plenty of Toyota Supras and Dodge Chargers; McLarens; a Pagani; and, of course, Lamborghinis. But enough about the pedestrian, on with the Hondas. 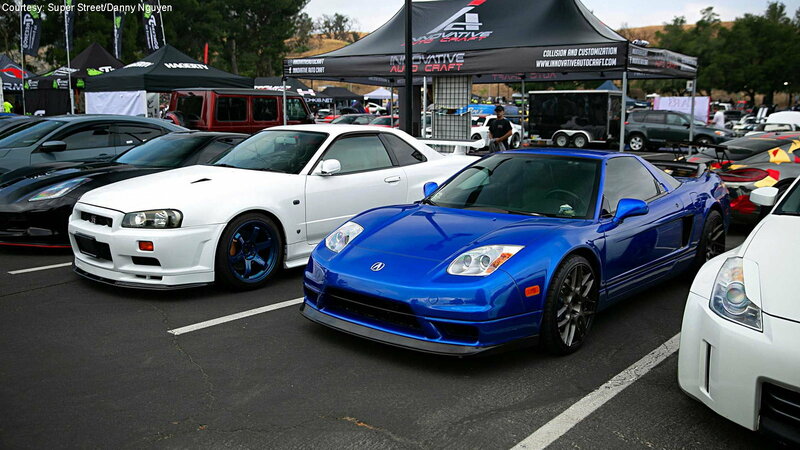 >>Join the conversation about these awesome cars at the Paul Walker meet right here in S2Ki.com. In the spirit of unity, vehicles weren't divided by make but mixed together. The result being that every row had something for everyone, you just might have had to roll by a few 911s to get to your favorite model. You'd be forgiven for thinking it was a white-paint-only meet based on most of these photos, but we spot a pink thing back there somewhere. In the foreground, we have a Mugen-equipped Civic EG and a nicely-modded DC5 Acura Integra. In addition to the white cars, there were also black cars, which we hear look better in the shade. 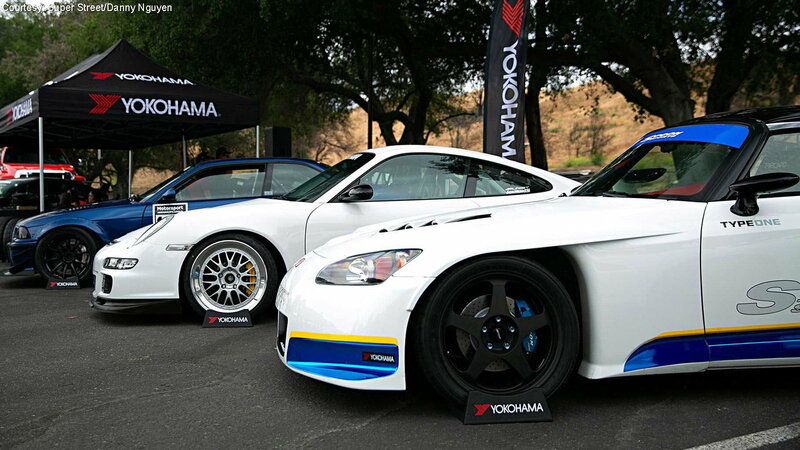 We should warn those of you who are sensitive to images of the non-S2000 variety, the camera person for Super Street, who provided these photos, found a few more NSX-type Hondas than S2000-type. Note the JDM Honda badge on the car's nose. 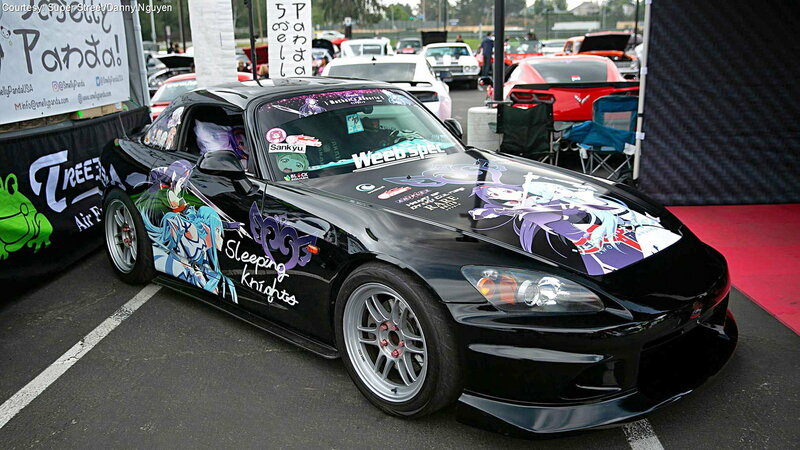 This Smelly Panda/WeebS2k/Sleeping Knights S2000 came out to support the cause, and to share a love of all things anime. With the '90s JDM floodgates now firmly open, expect to see more of the RWD Kei class Honda Beats flowing to our shores. The rising sun graphics clue in even the casual observer to the convertible's J-pride. The hood prop rod is about the only thing that isn't tricked out on this seriously-turbocharged Prelude. The splitter says, "I run," and the gold foil says, "I keep as cool as a McLaren." 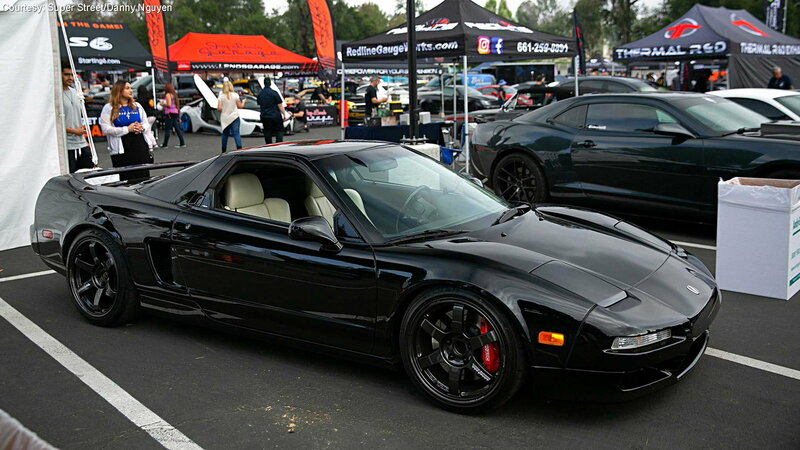 More black cars, more NSX, more fun. T'was a good day. Oh, and Volk TEs really set this look off right. Another Honda-badged NSX, this time wearing a sweet set of Wise Sports Wade Racing rims that look like they were meant for the two-seater. Experimentation isn't dead, as this Spoon Sports Open Air Concept hardtop evinces. It's a top only a mother could love. 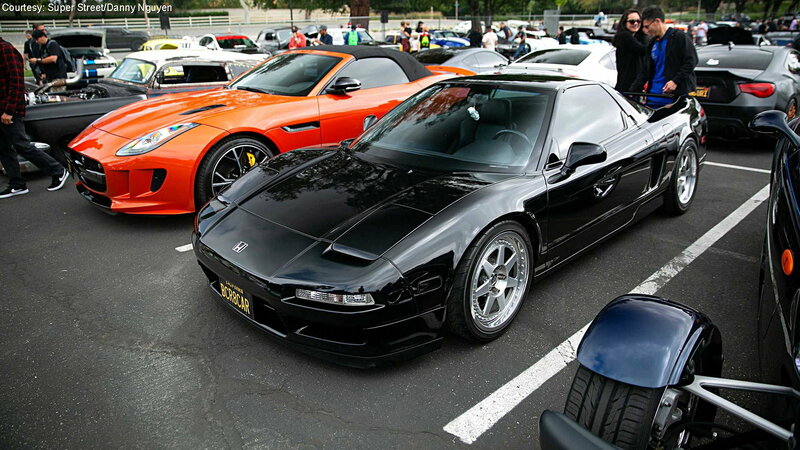 This U.S.-spec NSX was sitting between two more white cars. Side-by-side with the Skyline, you can clearly see the different design philosophies behind the two cars. The NSX is a sports car. 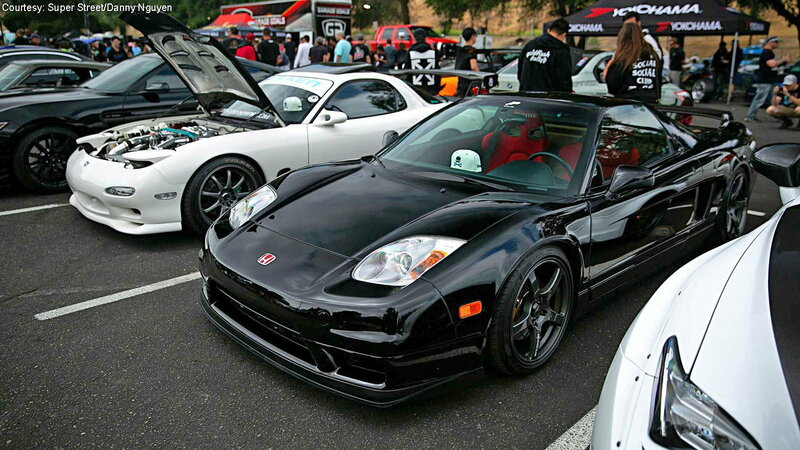 What better car to end our gallery on than, surprise!, an NSX, and a white one at that. 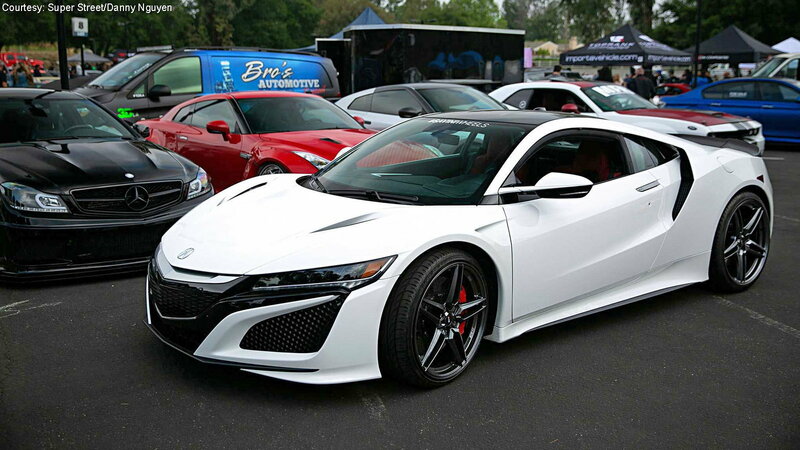 Somehow the new NSX looks much more Acura than it does Honda. What's your take? 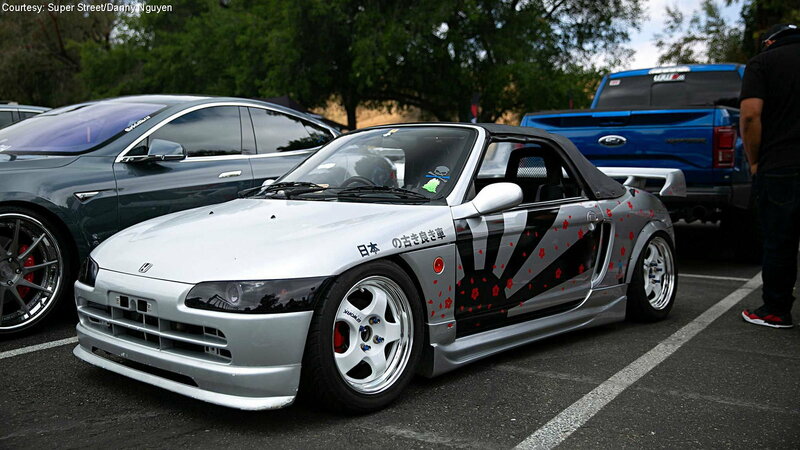 And if you took any S2000 photos at the Car Hangout In Memory of Paul, let's see 'em. Hope to see you there next year!